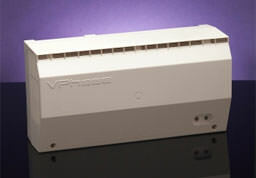 Voltage Optimisation - Improve your energy efficiency! Voltage Optimisation involves fitting a sophisticated device to your household electricity supply that manages the voltage coming into your home (either from the grid or from the inverter attached to your Solar PV system) to help many of your electrical appliances use less electricity. This helps you cut your electricity costs and lower your carbon emissions. The incremental cost of installing such a voltage optimisation system at the same time as fitting Solar PV panels is low, and yet the benefits build up over the lifetime of your Solar Photovoltaic system. Find out more information on Wikipedia. You can benefit from installing a voltage optimisation energy saving system independently of Solar PV. Get in touch for more details.